Lara Lessmann is one to look out for. 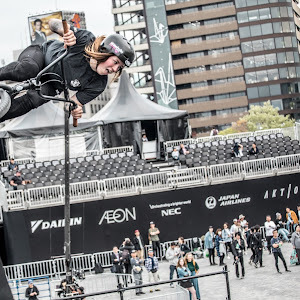 She's been competing in Fise with the kind of support few riders are getting right now in freestyle BMX, and that's the support of her own country. Learn more about her below and her journey to Tokyo in 2020. Beatrice: For those who may not know you, could you introduce yourself and tell us how you got into riding? Lara: My name is Lara, I am 17 years old and I come from Flensburg, Germany. I got into BMX when I was 9 years old. My brother took me to a skate park where I tried BMX for the first time and I had a lot of fun. Beatrice: What do you ride? 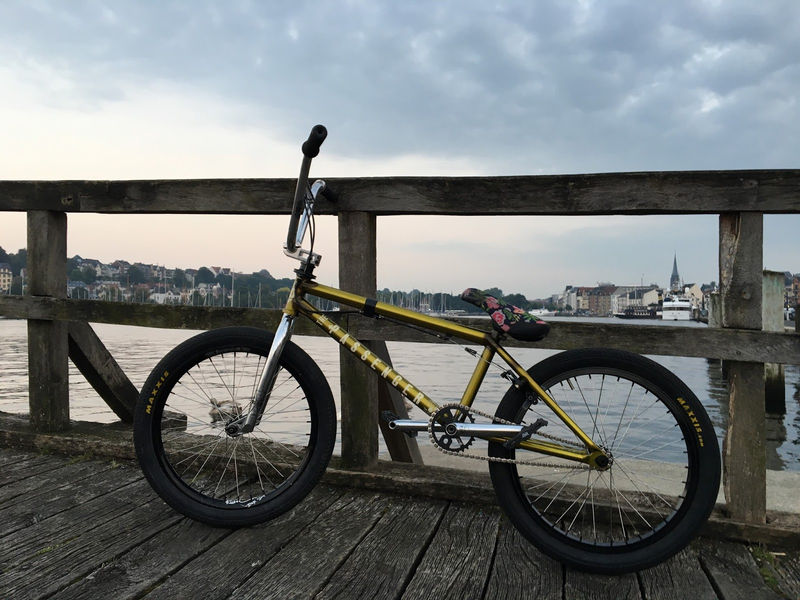 Lara: All my parts are from BSD, Haro or Demolition. BMX Freestyle Jamaica asks: Hello there, I'd like to know, what was it like, the very first time you began learning bar spins. What kinda things went through your mind at times while learning them and what was one of the scariest BMX sessions you've ever had? Lara: It was a crazy feeling, it felt wrong but after I tried it several times I landed it perfect. My scariest BMX session might be the session where I was jumping over a jump box and a friend jumped beside me and we crashed in the air. I ended up with a concussion and had to rest for 2 weeks. Beatrice: When you're getting ready for a big competition like Fise, what do you do to prepare? Lara: Usually I don't prepare anything special. I make sure that I'm able to land all my tricks perfectly and if there's 1 trick I'm not able to land 10/10 times, I don't perform it in competition. I try to stay fit and ride a little more safe in the training sessions to avoid injuries. 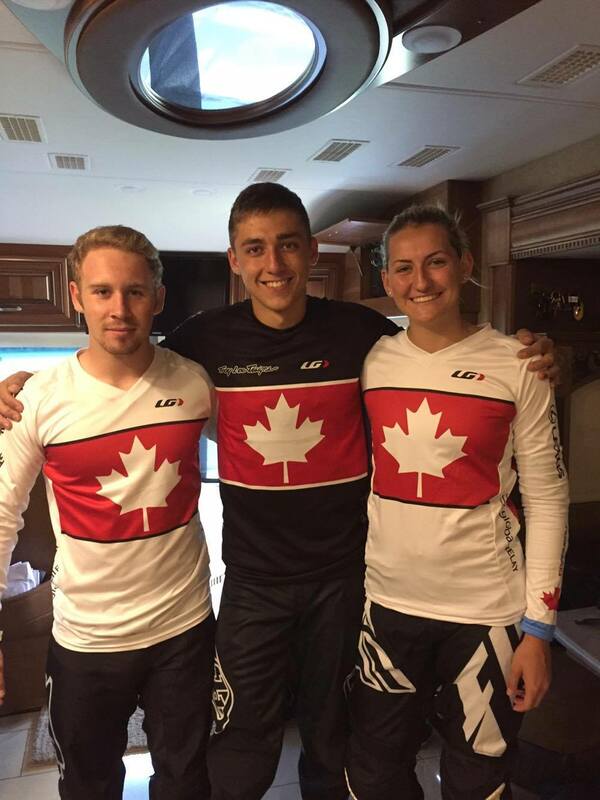 Cami Harambour asks: How did having a national team influence her riding? Lara: It was absolutely amazing, it's so good to know there is always someone who's got your back. Cory Coffey asks: Is she on an official Olympic training regime? If so, what's your training session like? Lara: Right now I don't have a special training regime. I try to stay fit while doing sports, running and riding BMX. In school I have a special training regime which involves cardio and muscle training at the gym. Beatrice: What's your plan or goal for the 2020 Olympics, what do you think about the Olympics introducing Freestyle BMX? Lara: My big dream is it to be a part of the 2020 Olympics. I'm going to try my best and I won't give up until my dream comes true. At first I was skeptical if it was going to be the freestyle I'm used to (format of the competition), but now I'm more excited and I'm looking forward to the future. 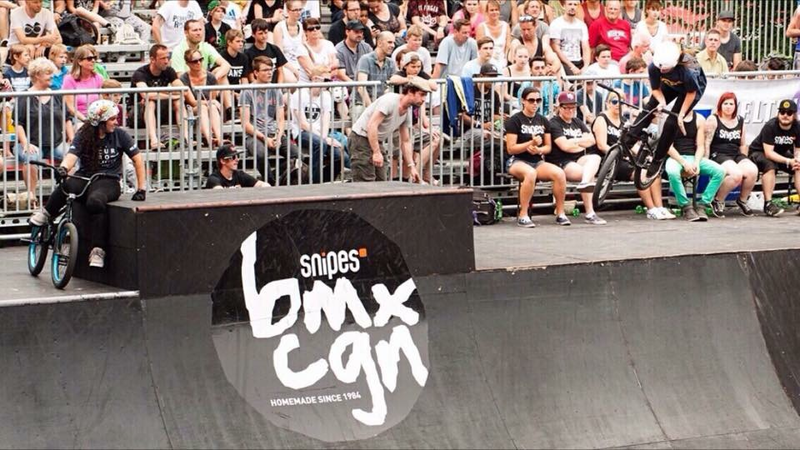 Beatrice: Who inspires you in BMX ? Lara: When I was young I looked up to my brother, but after I began to go to contests and see some pros live, I became a big fan of Pat Casey. He Inspired me with his riding style. Beatrice: What advice would you have someone who wants to enter Fise and maybe give the Olympics a try? 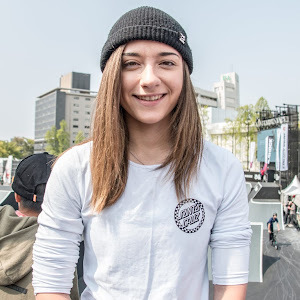 Lara: Try to get a solid trick rotation, maybe mix the tricks up a little to bring in your individual style, and do it for fun, if you do it just for first place, BMX won’t have any value. When you do it for fun, you will improve and you'll automatically get higher rankings in competition. 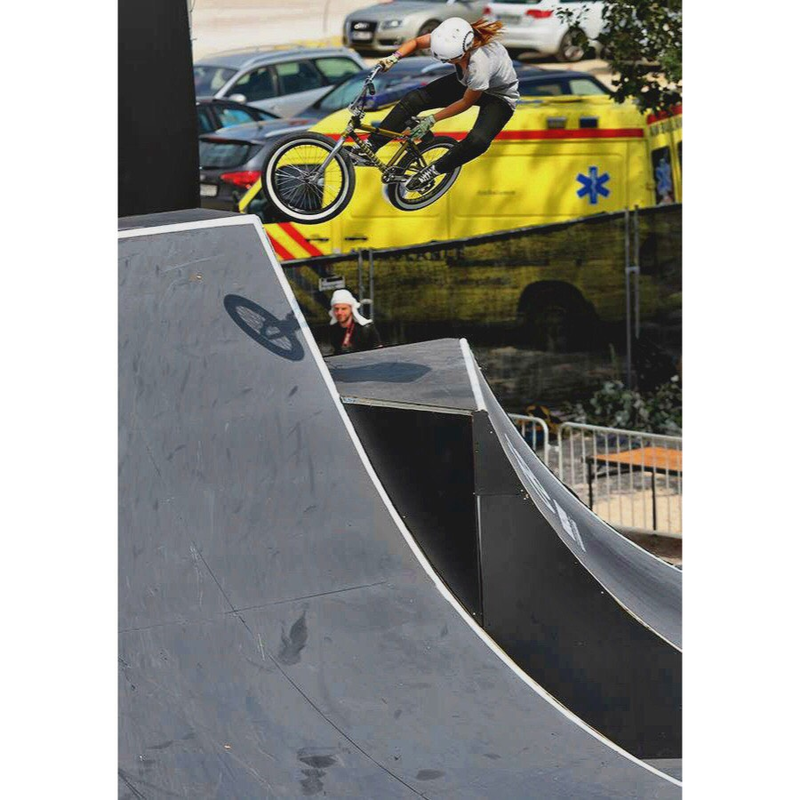 BMX is one of the least funded disciplines in cycling, yet you have athletes that arguably train harder and risk greater than any other cycling sport - maybe even any sport period. 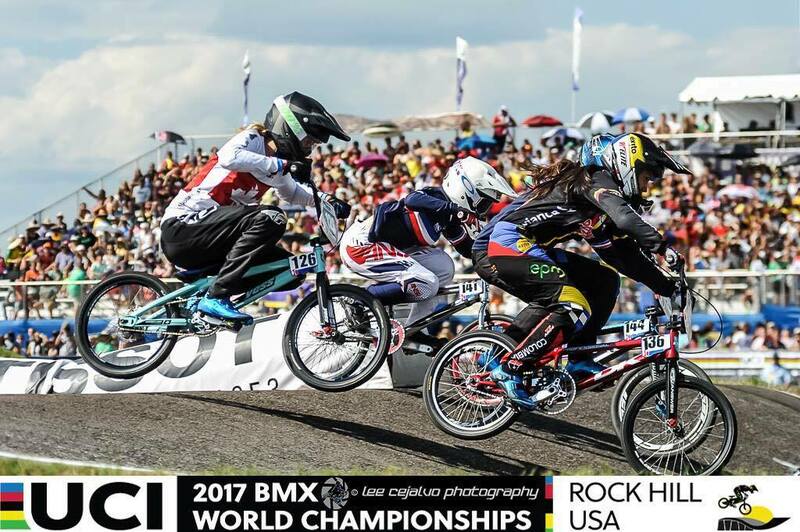 An example here is Bethany Shriever, British BMX racer and newly crowned junior World champion, who is doing it all on her own. 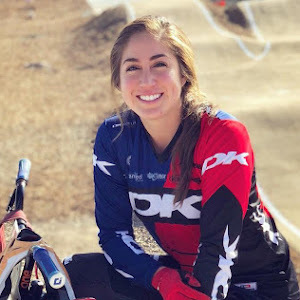 Beatrice: How and when did you get your start in BMX racing? Bethany I was 8 years old and my brother's friend's dad, was the lead coach at my local BMX track, one day he invited both myself and my youngest brother to the track and we fell in love. Beatrice: Congratulations on getting the win at the 2017 Worlds! For those who were not there and not around you, what was your day like leading up to finals? Bethany At the World champs my day went to plan, won every round leading up to the final, I hadn't faced Saya (my main competition) until the final and she also had won all her rounds leading up the final. I felt good all day, comfortable with the track and my competitors, but in the back of my mind I knew it would be a tough battle between myself and Saya in the final, as she also was on top form. Beatrice: For the final lap that mattered the most, you had a great start, at what point during the race did you see the opportunity to beat Saya Sakakibara at the line? What was going through your head during the first couple of straights and when did it click in that you won? Bethany As soon as I saw Saya ahead of me with that amount of distance I accepted in my head that I was going to get second, so I just kept my cool and kept pushing none the less and managed to close the gap on the third straight and it was only until I entered the last corner where I thought I had a chance of passing her, until that point I thought I had silver. This is why it was such a shock to me when I did take the win, because Saya had made some distance between me and her. I knew straight away when I crossed the line that I had it, and then the initial reaction was shock. Beatrice: If I'm correct, I do believe you are the first Elite Women since Shanaze Reade, right? First, how does it feel to finally get rid of the Jr title to your name, and what does being Elite mean now, how has your training sessions change and do you get additional support now, if so how? Bethany I'm always going to have that World title to my name, but like you say, I'm moving up into a whole new World, the best of the best in BMX and it is going to be tough. My training doesn't really change, I am going to be working extremely hard over the winter to get as strong as I can, I want to have the best chance at making finals in elite women, that's the aim. I am no longer with British Cycling because there is no funding, I am doing it all on my own with the help of my coach I have known for years, and sponsors who are willing to get me my equipment and get me to the places I need to get to to compete and train. Beatrice: Does the lack of Elite women riders in GB say anything about the sport in GB? Are there not enough female riders or support, what's your take/perspective on this? Bethany There is support, just no funding. It is a shame because in the UK we have lots of up and coming girls coming up to junior level and now they have to do it on their own. However, we are a tight network in the UK and we all talk and help each other, I am more than happy to be giving the girls advice and helping them improve. 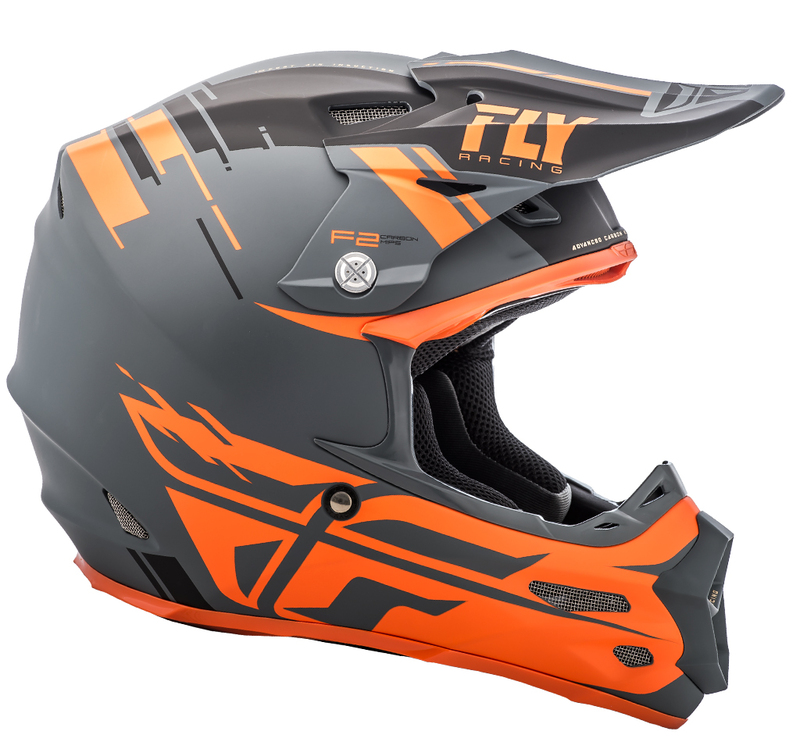 This F2 CARBON FORGE MIPS helmet is the one Bethany wore at Worlds! Beatrice: What are your thoughts on the 2018 Worlds location being in Baku, Azerbaijan? Parents are already opting out based on the location and safety. Will you be planning to go? Bethany If I am selected by British Cycling I will be more than happy to go, I love it when races are in places like these because you get to see a whole new culture and experience something completely different to what you are usually used to. Everyone will be in the same boat, but it will be one to remember regarding where it is based. Beatrice: Not sure if you noticed this, but there’s a masters class for male riders, but none for female riders. So you have veteran female racers, competing against the challenge class at Worlds. What are your thoughts on this and the impact on the future of the sport? Bethany I never thought about that actually, that's interesting, they should definitely look into adding another veteran type class for women who ride 20'' bikes. I think that the sport for us girls has improved over the years and I think it can only get better, now a days we have equal prize money which we never had in the past, tracks are only going to start getting more technical and more demanding as the skill level keeps on rising. Beatrice: If you could name 3 people to dedicate your success to, who would they be? Beatrice: What's your day to day life like now, since we're in the off season and where or when will your next big race be? Bethany Currently, I am working part time so I can still train during the week. My next big race isn't until next year now, so now I'm putting my head down and going to work extremely hard and get faster! This is awesome! Check out this interview Hannah did with Vital BMX. 16-year-old Hannah Roberts talks about her start, her relationship with cousin Brett Bansiewicz, Olympic dreams, competitive nature, and more. It's a great sit down interview, check it out! 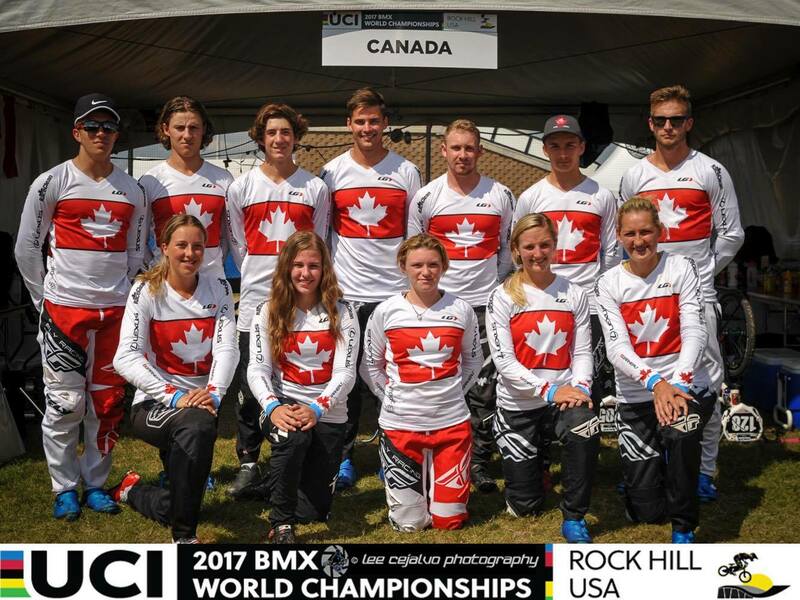 Canadian BMX racer Avriana Hebert has a number of achievements under her belt, including a W1 plate from 2014. She's definitely not a stranger to Worlds, and this young women from Alberta, Canada is for sure someone to watch in the future. Beatrice: How did you get into BMX? 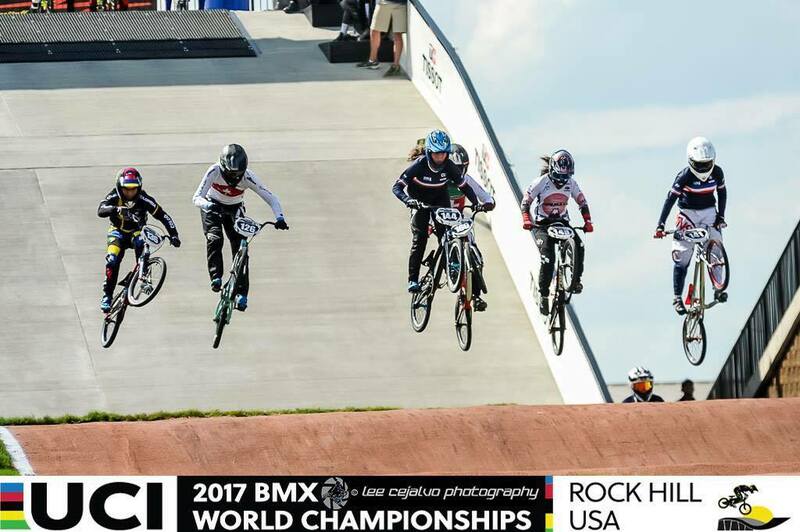 Avriana: BMX was shown to me when I was four years old through my dad! My dad had done BMX when he was little and thought it would be the perfect sport for my brother and I! After taking my brother and I to the track for the first time it was something that we enjoyed and it stuck with me till now! Beatrice: Are you currently on the Canadian national team? Avriana: I am currently not part of the national team but rather the next generation Canadian team. The 2016 season was the upbringing of the next gen program with a couple of camps, and at the end of the season a try out for the 2017 team. The 2017 season was supported with many camps including a pre Worlds camp at Rock Hill! The team gave us gym, sprints, and track programs to follow for our training. Along with our training programs, the team prepared us for races and coached us when needed during our races! Beatrice: What are your thoughts on the 2018 Worlds location being in Baku, Azerbaijan? A lot of parents are already opting out based on the location and safety. Avriana: In my eyes, I'm not horribly worried about the location of next years Worlds. I don't believe that they would pick a place for thousands of people to go if it were dangerous. Beatrice: Since we’re on the topic of Worlds, 2017 was a big year for us North Americans, with it being back “home” for the first time in a decade. What was your Worlds experience like leading up to the crash…? Avriana: My World's experience was a bit of a tough one to take in. Leading up to my crash I felt very confident through practice and going into racing. I didn't want to set any expectations for myself going into racing because I didn't want to feel any pressure, but I was hopeful that I would do well. Unfortunately after making up some spots along second straight and going for a pass in the second corner I ended up crashing. Beatrice: Tell me about your crash, I remember being so proud of the move you made in the 2nd corner, it was risky but the payoff would have been huge! For those who weren’t there, how did the crash happen and do you agree with medics not clearing you to compete in the next round? Avriana: I ended up crashing with a Colombian junior trying to make a move in the second corner. In trying to make this move we bumped bars just before going into the second corner causing us to start leaning and ended up falling. I ended up hitting my head in the process of this fall and did not get up right away. After being down for a while I got up on my own reaching for my bike to ride it off. At this point the medics didn't allow me to do so and I was taken back to the medics tent for further concussion testing. Following the testing the medics informed me I was not cleared to race and I had not passed the testing. Initially my head hurt as it would after hitting it but after about 5 minutes I no longer had any pain, in which I told them. In my eyes I was ok to ride and I didn't agree with the medics choice of not letting me continue my day. Although I was frustrated with there decision I understand where there decision came from. Beatrice: Not sure if you noticed this but, there’s a masters class for male riders, but none for female riders. So you have veteran female racers, competing against the challenge class at Worlds. What are your thoughts on this and the impact on the future of the sport? Avriana: I think a masters class for females would make for good racing! I've always been on the side of having all things men and women being equal. So in achieving this I believe it would be fair and right for UCI to make a female masters class. Beatrice: You recently raced against some really big names in Louisville, what was it like being in a gate with some of the elites, and what are the differences between Junior and Elite racers that you’ve noticed? Avriana: I really enjoy going to the bigger nationals in the US and racing with the elite women! To me it's kind of an adrenaline rush being with all those big names on the gate. Regarding the difference between junior women and elite in my eyes is the level of experience through the years of racing! Beatrice: If you could name 3 people, (in no particular order) that you’d dedicate your success to, who would they be and why? Avriana: The main three people to name off for my success are, to begin with, my parents! I wouldn't be anywhere I am today without the help of my mom and dad! They have helped me in too many ways to name off. My parents were my coaches for many years in my life and they are on of the main reasons of why I am where I am today! The last individual to thank for my success would be my current coach Adam Muys! Adam has helped me from my first 2014 Worlds till now! He has taken so much time to prepare me and so many more for our races and I can't thank him more!